Providing a range of energy, focus and weight loss is this popular brand that creates a stronger metabolism thru thermogenesis(heat created in the body). Their marketing images show muscular people flexing muscles though no testimonials are offered. A 8 week study was performed on the key ingredient which showed a 3.7 pound reduction. It’s important to note however this trial was performed by the creators themselves. This is what the manufacturers claims can happen, but how does it actually stack up? Iovate Health Services Inc manufactures this popular weight loss brand. They’ve been in legal troubles for making unsupported claims of their products effectiveness and for including a now banned substance that caused severe reactions. Many customers came out with severe side effects such as liver damage and one person died from taking Hydroxycut. Scientists have spoken up about Iovates practices and their lack of testing on long term effects despite their claims of being a research company. First this product has to be watched carefully and observed as the large increase of caffeine is unsettling to some. The manufacturers recommend just one pill before a large meal to start with in order to safely consume. The caffeine inside stimulates metabolism which in turn leads to energy and more calories burned off. Yohimbe also stimulates the body and Forskolhlii increases testosterone leading to more energy. It’’s important to note that Yohimbe and Caffeine should be taken in moderation and that cheaper alternatives such as coffee do exist. 552 customers on Amazon have reported intense negative side effects such as anxiety and increased heart rate. As mentioned the manufacturer’s even say to be careful when taking this product due to the amount of caffeine and stimulants inside. All natural weight loss supplements not surging with potentially harsh ingredients do exist. Green Coffee Bean: Immature coffee beans that are high in blood pressure lowering chlorogenic acid. Caffeine Anhydrous: Dehydrated caffeine added to stimulate. Coleus Extract(COleus Forskohlii Root): Herb used to increase testosterone furthering fat loss. L-theanine: When combined with caffeine it is meant to increase mood and energy. Cocoa Extract(as theobroma cocoa seed): Added to widen veins and increase heart stimulation and increased urine production. Yohimbine Extract: Taken from a tree bark it is used to increase blood flow and for physical activity. Potential Side Effects:Anxiety, insomnia, heart and blood pressure rise, dehydration, fatigue, vomiting, difficulty concentrating, hyperactivity, fidgeting, tremors, sweating, and overstimulation. Available in several retailers and nutrition facts are clear. Though this product is widely known there are several noticeable flaws. There’s clinical trials provided but both were conducted by the manufacturer themselves. Due to this company considering itself a research group it would also have been nice if they included the side effects. They do mention to take it sparingly and only for weeks at a time but this isn’t sufficient knowledge for customers to make an informed decision. Customers have flocked with at least 552 current reviews on Amazon.com declaring an array of intense side effects. Some that have reported results also mention it was not worth it and that they discontinued use immediately. The nearly 3 cups of coffee dose included with stimulants like yohimbe that can overstimulate leave no surprise as to the potential negative effects. Most of this product’s effects on thermogenesis and providing a boosted metabolism comes from caffeine which is cheaper in coffee. The fact that they mention caffeine is their main source of change makes it apparent it’s overpriced. 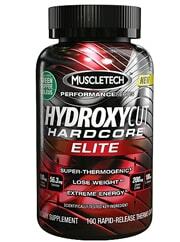 Looking at Hydroxycuts past also calls into question their amount of research they take before launching products. A person actually died from one of their batches and several people reported irreversible side effects such as liver failure. This coming from a company that says to research and test their products. Luckily the FDA swooped in and forced change but still, it’s important to take into account these resounding details. Sometimes good marketing can get you places but this product still does not have a lot of customer satisfaction behind it. The amount of people reporting side effects makes it clear there is a huge potential risk. Also since the key formula relies strictly on caffeine it would make sense to see it elsewhere as it is easier to dose than taking this. Taking into account that this company has had to completely reformulate their products due to liver toxicity and even death, it would be advised to find a less potentially harmful product. Many customers have reported serious effects that prompted discontinued use, instead of that potential threat seek all natural supplements meant to decrease weight safely. By taking the numerous reviews into consideration it leaves no doubt. 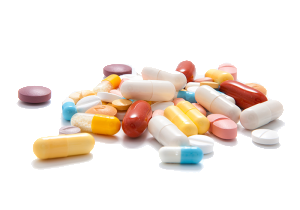 Better supplements not overblown with stimulates can provide the weight loss you deserve. Whats better than Hydroxycut Elite?